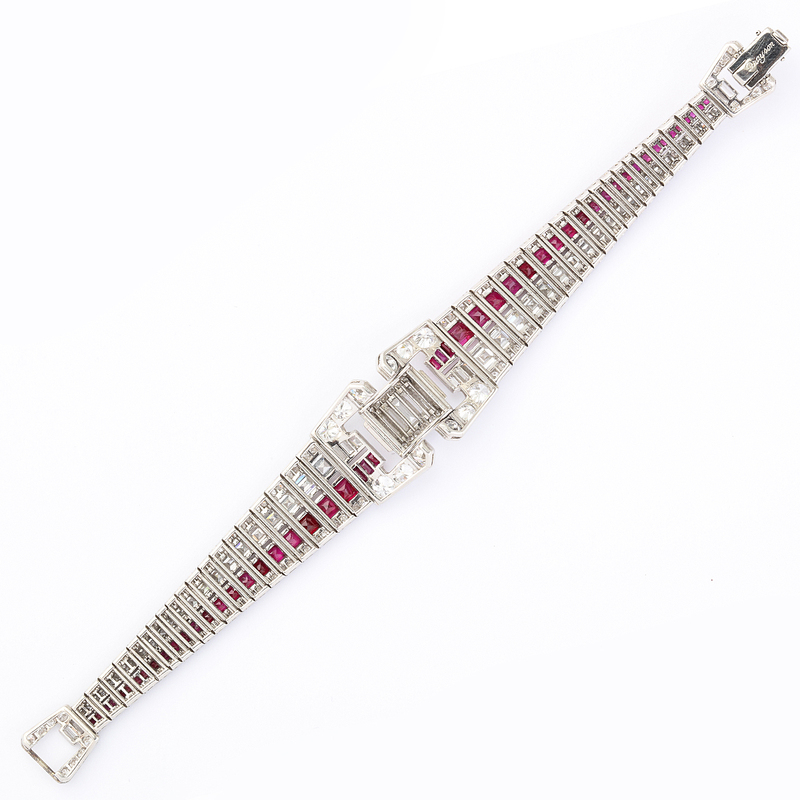 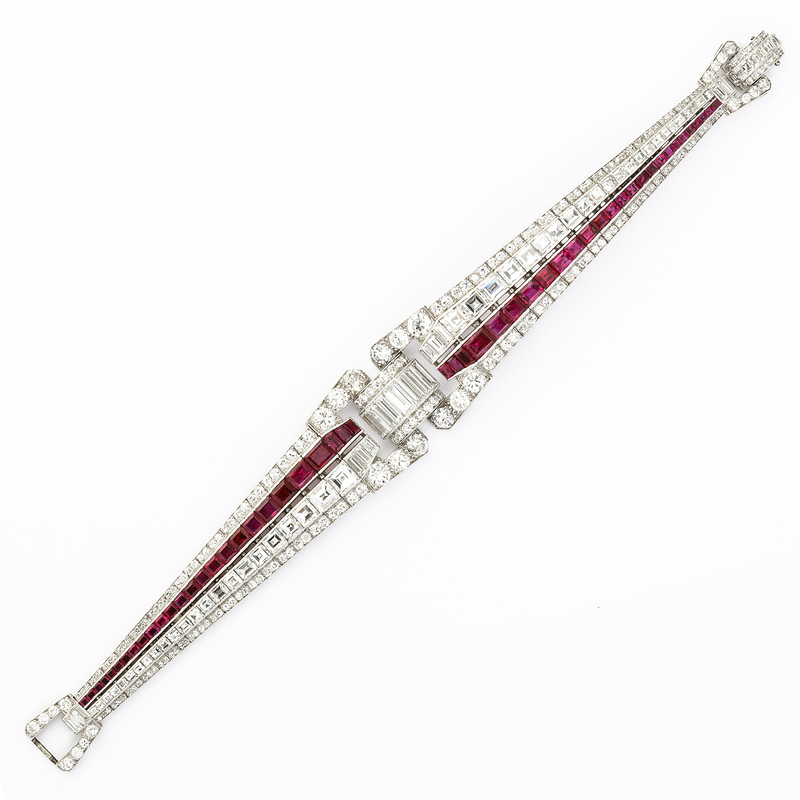 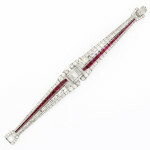 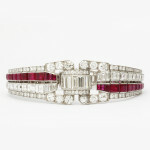 Art Deco bracelet with calibre rubies and round, baguette and French-cut diamonds, set in platinum. 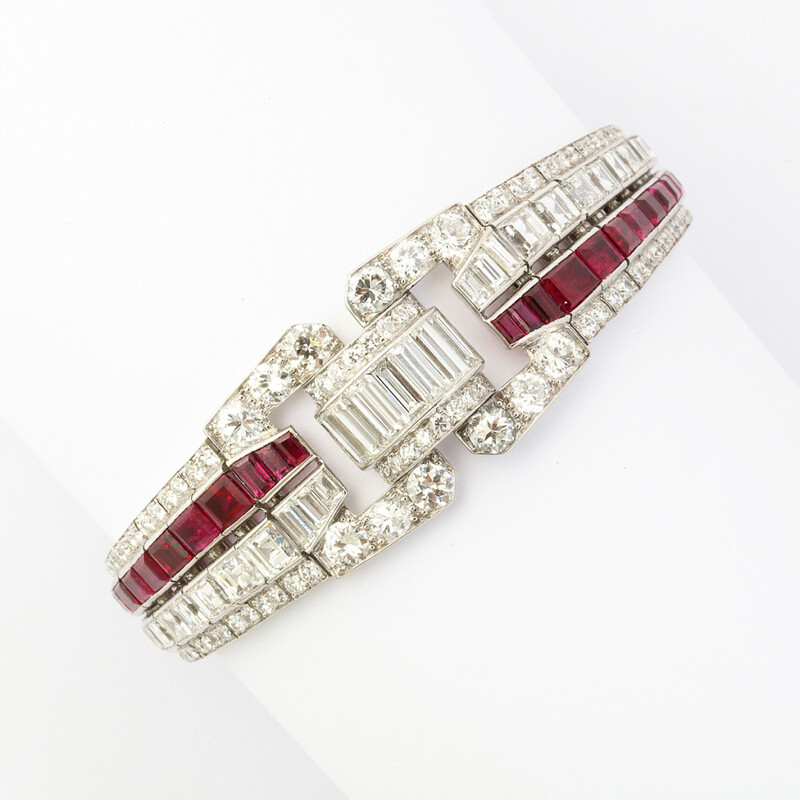 Established on London’s fashionable Bond street in 1936, Drayson became renowned for innovative, elegant designs. 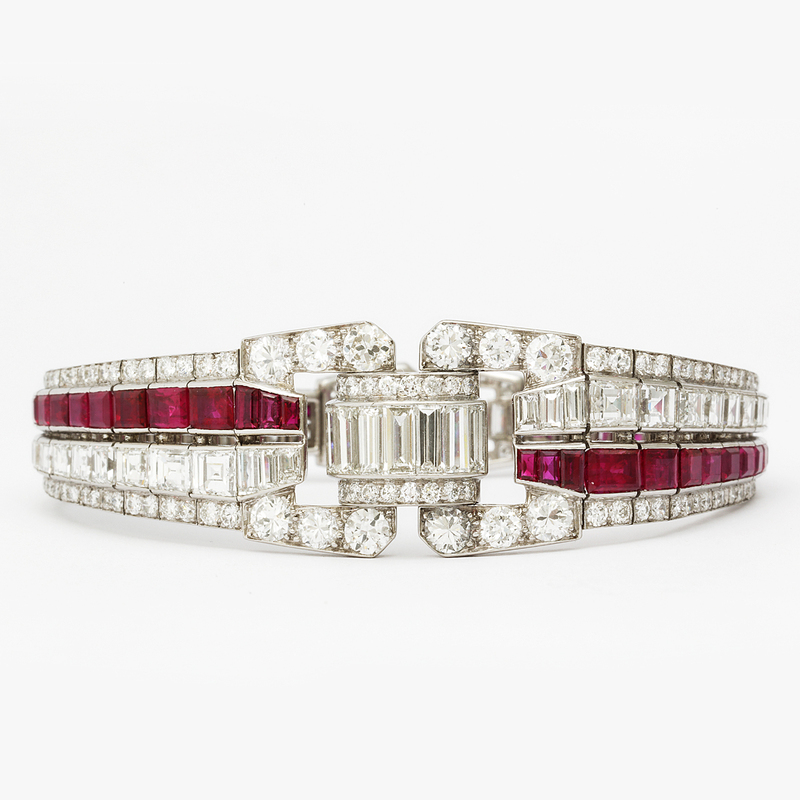 By Drayson, London, late 1930s.